Need To Upgrade Your Refuelling System, Or Install A New One? See real results we get for our clients. 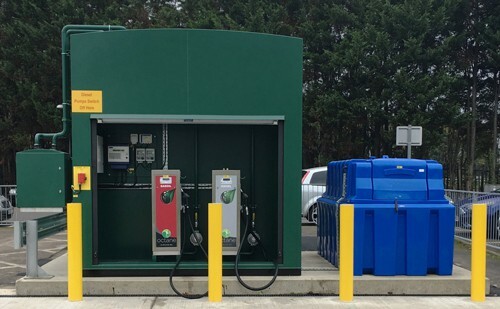 Octane Holding Group Ltd are specialists in refuelling system products & services and serve clients throughout the UK. We'll manage your project from design to installation and commissioning and because of our teams specialist knowledge and decades of experience in the industry, you can be certain you'll get the best refuelling solution to meet your business goals. Get in touch with us today and tell us your requirements, we'll be happy to help. I have recently engaged Octane Holding Group Ltd to clean our main diesel holding tanks (225,000 litre capacity) and subsequent HV Generator local fuel tanks. I found them to be extremely professional, diligent and thorough in all the works that they have carried out. Their paperwork, RAMS and subsequent testing certification was all in order and I would highly recommend them as the contractor of choice for any fuel related works. They delivered this project in a short space of time and have a number of skilled and knowledgeable personnel who have addressed any concerns that we have come across. In summary I would certainly engage them again without any hesitation whatsoever. Octane completed our project within budget and within timescales, we were under pressure to get these installations operational before the gritting season kicked in and we were very impressed with how the works progressed and were completed. Just a quick email to thank your staff for the great work completed at the depot, they were a pleasure to work with, professional polite conscientious, nothing was to much trouble . I would thoroughly recommend your team to any potential clients, they are a credit to you.